Today, Aston Martin announced a technical tie-up with Mercedes' engine-building performance arm. What does that mean? Engines from AMG. Here's the technical side of the deal: Mercedes-AMG gets a 5% equity in Aston Martin with a non-voting, 'observational' status on the Aston Martin board of management. On the other side, Aston Martin gets AMG engines as well as Mercedes electric/electronic components to go with them. If you think I'm making this all up, here's what Ola Källenius, Head of Mercedes-AMG GmbH said about the deal. We are proud to work with Aston Martin and provide them with powertrain and e/e components for their forthcoming sports cars. This is proof of AMG’s technological and performance expertise and a real win-win situation for both sides. 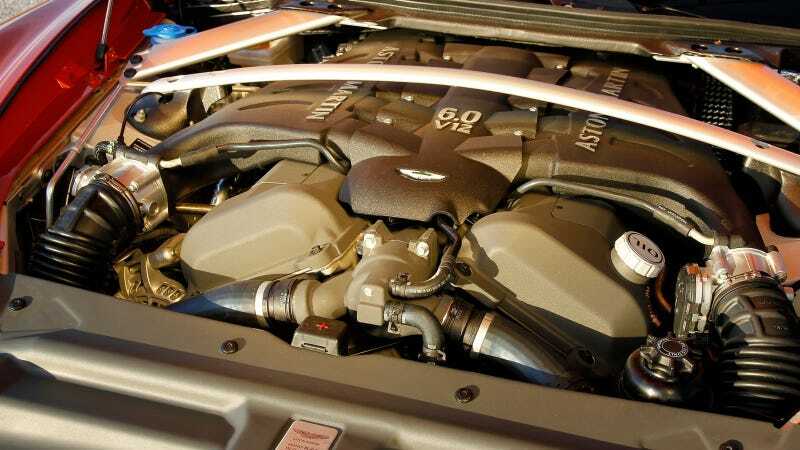 This is fantastic news for Aston Martin given that their current crop of engines are either heavily reworked versions of a Jaguar/Land Rover V8 that debuted in 1996, or derivatives of their sole V12, which debuted in the 1999 DB7. That V12 is, in fact, two Ford V6s held together with wallpaper paste. If any of you are upset that Aston is losing some of its particularly independent charm, remember that Pagani uses AMG V12s and is all the better for it.